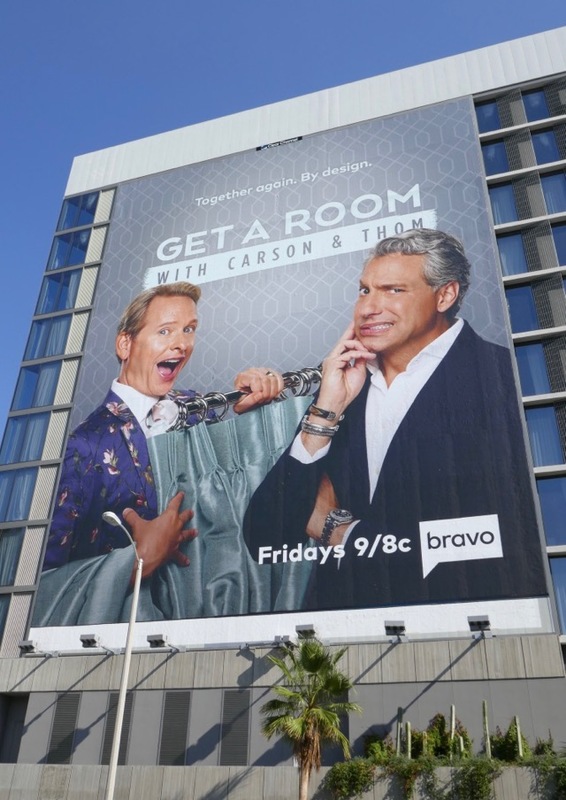 If you're still stuffed from Thanksgiving, then maybe some gentle viewing in the form of Bravo's new home decor show, Get a Room, will be just to tonic to kick back and relax with. 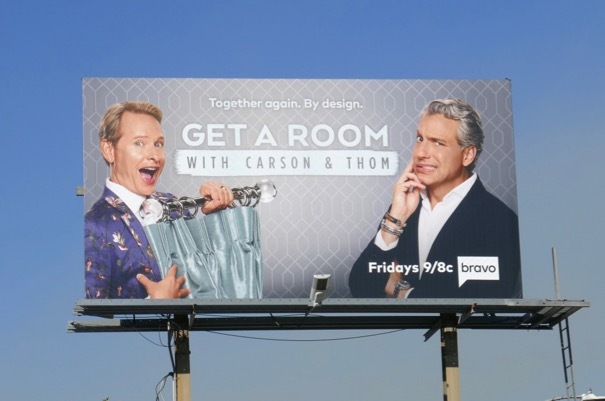 Reuniting fifteen years after the original Queer Eye premiered on Bravo, two of the 'Fab 5', Carson Kressley and Thom Filicia, are back on the small screen together and this time they're making over people's homes rather than just their wardrobes and lives. Can the fashion expert make it as an interior designer, as bold fabric which makes a nice suit may not be suitable for a set of drapes. 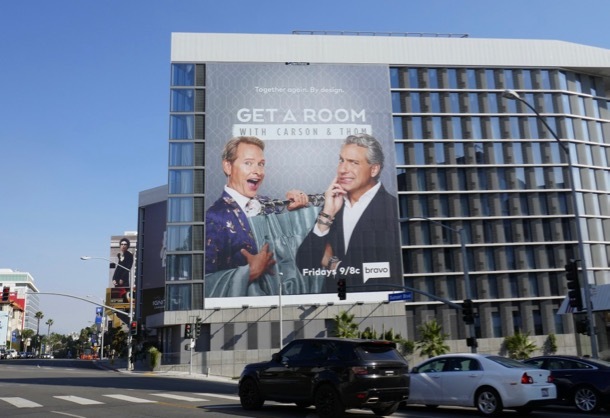 These series launch billboards were snapped along Melrose Avenue and the Sunset Strip on November 10, 2018. 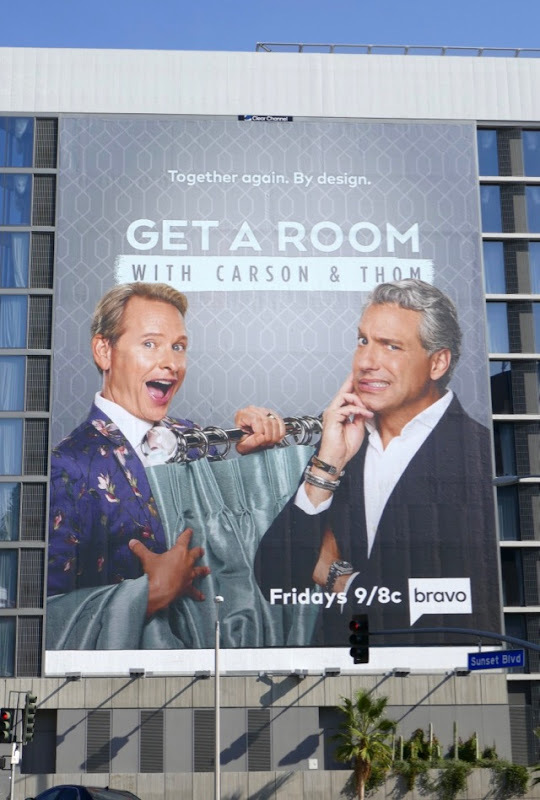 Carson Kressley has been a judge on RuPaul's Drag Race for a number of seasons, so how will he feel now that the shoe is on the other foot now and his clients will be judging his interior design work? 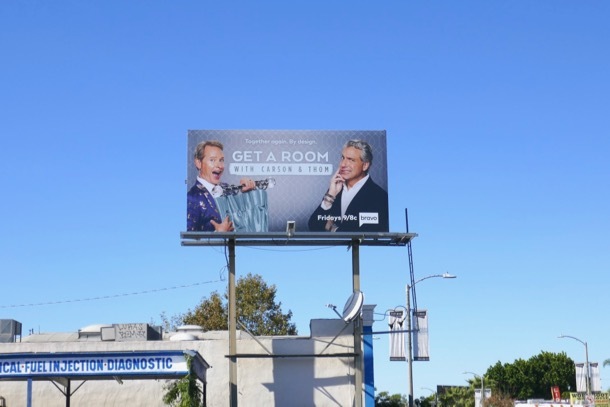 Whatever the result, you know it'll be a fun experience with these two characters back together again.